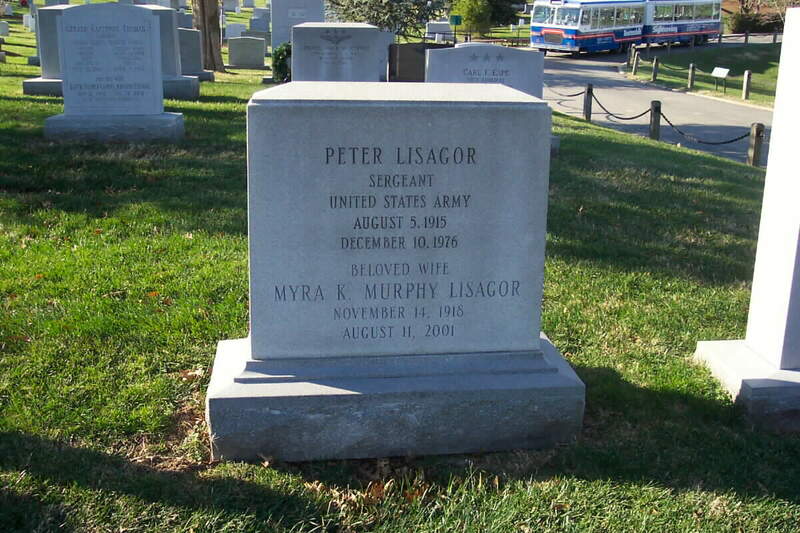 WIFE OF LISAGOR, IRVIN SGT S ARMY Born on August 5, 1915, he was the Washington, D.C. Bureau Chief of the Chicago Daily News and one of the nation's best-known journalists. He appeared frequently on television. He died on December 10, 1976 at the Northern Virginia Veterans Administration Hospital. He was 61 and had been suffering from cancer since February. He was once described by a "senior official" of the State Department as a "strange phenomenon." The official continued, "You write for a newspaper that virtually no one in Washington reads. Yet you are one of the most influential newspapermen in the nation's capital. You never make heroes of public officials - that is perhaps an understatement - yet they respect you, they seek your advice, and they consider you their friend. You are the Renaissance Man of the Washington press - equally adept at writing, reportinf, television and commentary." 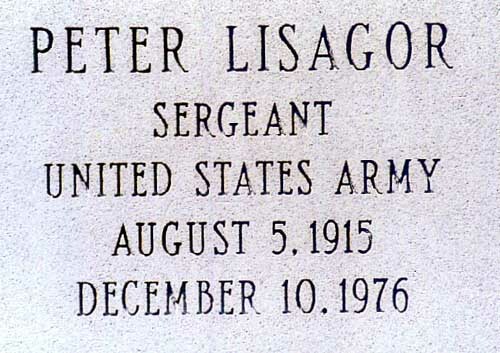 Thus Secretary of State Henry Kissinger shared a widely held view of Mr. Lisagor in the award in 1976 of the Edward Weintel Prize for Diplomatic Reporting at the George Washington University School of Foreign Service." 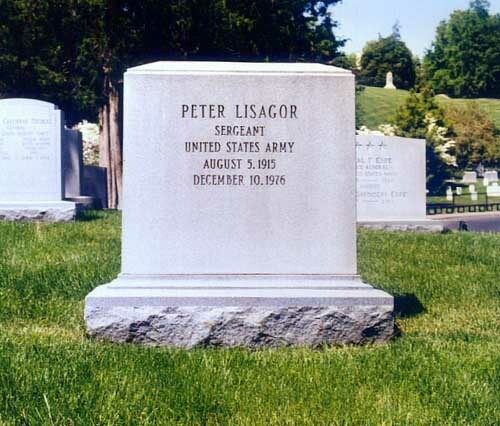 He is buried in Section 2 of Arlington National Cemetery, next to the grave of U.S. Air Force General Daniel "Chappie" James.